The management of these obligations is usually contracted to country-specialist authorized companies dedicated to compliance services. Preparing for and managing multiple obligations and responsibilities is complex, however, it can be outsourced carefully to service partners with the appropriate expertise. Finally, there are of course always solutions to facilitate the understanding, establishment and harmonization of compliance. The EU legal framework governing waste is challenging. 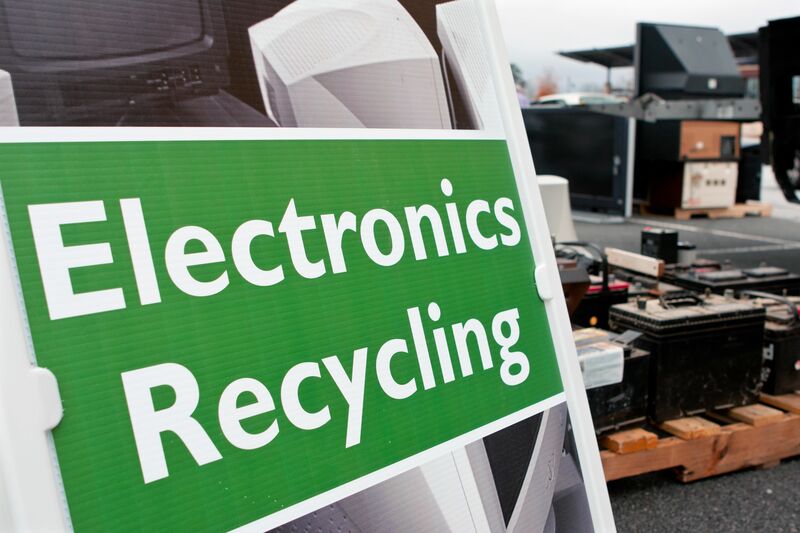 One sale of electrical or electronic goods, gives rise to potentially 3 waste stream obligations. The producer or manufacturer will need to contract for 3 compliance arrangements per country with up to 3 different service providers per country. Such devices are Electrical and Electronic Equipment without batteries or accumulator, presented in sales packaging, including fridges, ovens, vacuum cleaners, hairdryers, electric knives, irons, printers, amplifiers, etc. The producer will need to contract for 2 compliance arrangements per country, with 1 or 2 different service providers per country. When companies are commercially present in several countries, they can either use similar market access strategies or change their distribution channels according to the specific circumstances in each country. 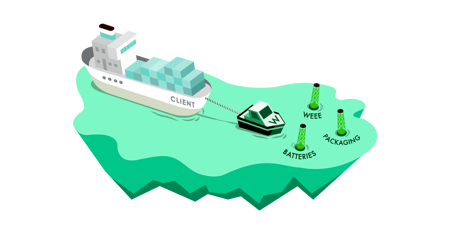 When deploying different market access strategies, the waste management and end-of-life obligations associated with WEEE, batteries and packaging tend to result in differences in compliance obligations from one country to the next. 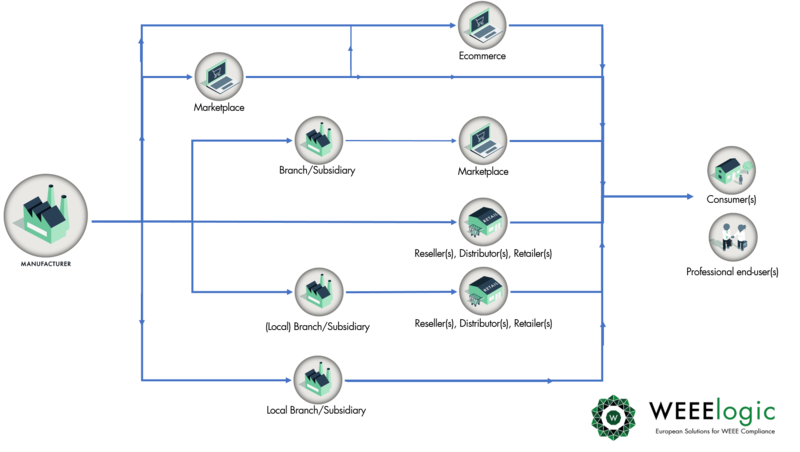 This approach thus fails to simplify waste obligations and compliance management. With varying different distribution strategies across countries, the responsibility for compliance can pass from brand owner to distribution channel partners or importers. In the WEEE example, a device sold in country A by a foreign company via its local subsidiary in country A falls under the responsibility of the local subsidiary whereas the same device sold in country A by a foreign company to a local distributor falls under the responsibility of the local distributor. The above example shows that compliance is not just about the type of device but can differ according to sales organization, distribution channel and market strategy. This can sometimes be a market differentiator, harmonizing the approach so that administrative and reporting obligations are arranged by the OEM or license holder instead of relying on multiple distributors each with their different understanding of end-of-life obligations. In order to simplify compliance set-up across several countries, manufacturers can plan and organize their distribution by deciding on a uniform approach regardless of country presence. Finally, fulfilment can take responsibility for waste compliance on behalf of OEMs or producers.. For further information, please contact WEEElogic. When a company with subsidiaries has compliance obligations across several countries, the question is whether to rely on individual country management to achieve local compliance or to centralize compliance management. In short, whether to rely on country managers or dedicate a team with expert partners to establish and manage compliance. Comparisons can be useful to differentiate costs and services although approved compliance schemes usually provide relatively similar services in terms of compliance. Additional options, costs and levels of services can, however, vary. A decision could be taken to contract with the first supplier contacted based on e.g. personal feeling, reactivity or network recommendation OR the approach could be a more careful selection of partner via tender process. 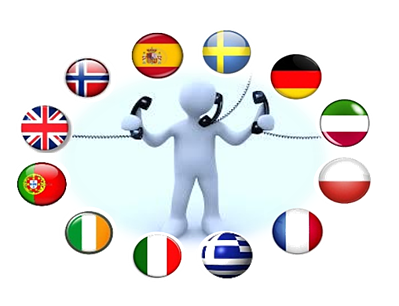 When it comes to selecting multiple compliance partners across several countries, it may be useful to contact a compliance hub or network of compliance schemes that offer ‘one-stop’ European compliance solutions that facilitate market understanding, compliance scheme selection, compliance proceedings and payment terms. whilst coping with other strategic and development priorities. On the other hand, an in-house compliance team can provide a proper circular economy approach as long as the team has real power and enforcement capabilities in relation to their colleagues in other departments. The outsourcing of compliance enables businesses to concentrate on the real benefits of compliance set-up, such as brand image, marketing tools, market differentiators, tendering approach, etc. This enables appropriate teams and department to be involved and perceive the benefits of compliance set-up and management without the burden of time-consuming tasks. Management can thus optimize cost spending and communicate about the ongoing compliance as part of a global strategy. Repetitive admin tasks can be easily outsourced to external agencies with your staff teams focusing on other areas: product design, client services, cost optimization, loyalty programs, marketing and sales, etc. Take-back and recycling services can be promoted and offered to country management teams, clients, etc. Some companies may have a stronger interest in making sure compliance is achieved quickly and efficiently rather than setting up a dedicated team that will need a lot of support to carry out its tasks. “Ignorance of the law is no excuse”. Companies should regularly review the legislative landscape to ascertain whether they face new, existing or even an easing of legal constraints. Companies can also appoint lawyers or environmental experts able to provide legal assessment and support to track any legislative developments that may affect their business environment. Compliance management is not a fashion statement, it is one of the new requirements of a circular economy world. In recent decades, authorities around the globe under the influence of the OECD, decided to develop new legal frameworks in order to protect the environment and boost innovation whilst also securing access to materials and recycling possibilities. Companies adapting to and following these requirements help to set a level playing field. It should be said that the compliance framework is not always easy to implement, particularly for smaller entities, given the costs involved with no immediate value creation. The aim of compliance is not just to address administrative aspects but to improve products, batteries and packaging whilst reducing the economic and ecological footprint of business organizations and services. However, compliance obligations also arise from the way companies are structured, products designed, choices made in terms of sales channels and business partners. As a consequence, companies will need to accept new paradigm changes with respect to compliance: this entails a cross-functional approach that might have an impact on future products, organizations, market entry, business partnerships, etc. Companies may decide to outsource the administration of compliance in areas such as co-ordination, provider selection, day-to-day management and routine tasks. Nevertheless, support and operational services offered at the client’s own premises and loyalty programs remain at the heart of company strategy. In a world of evolving technologies and intelligence, client relations, service adaptations and strategic planning are key to sustaining business development. Compliance obligations enable your business to anticipate future needs, following trends in innovation and differentiation whilst the administration of compliance and associated repetitive activities can be outsourced to secure time for value creation. This is the role of a compliance and recycling hub to support clients with compliance expertise and economies of scale. Would you have any question, please contact us!